Facebook-owned Instagram has finally announced a standalone app dubbed as IGTV at an event in San Francisco. The new app from Instagram takes on YouTube by offering 1-hour long vertical videos from your favorite Instagram creators. 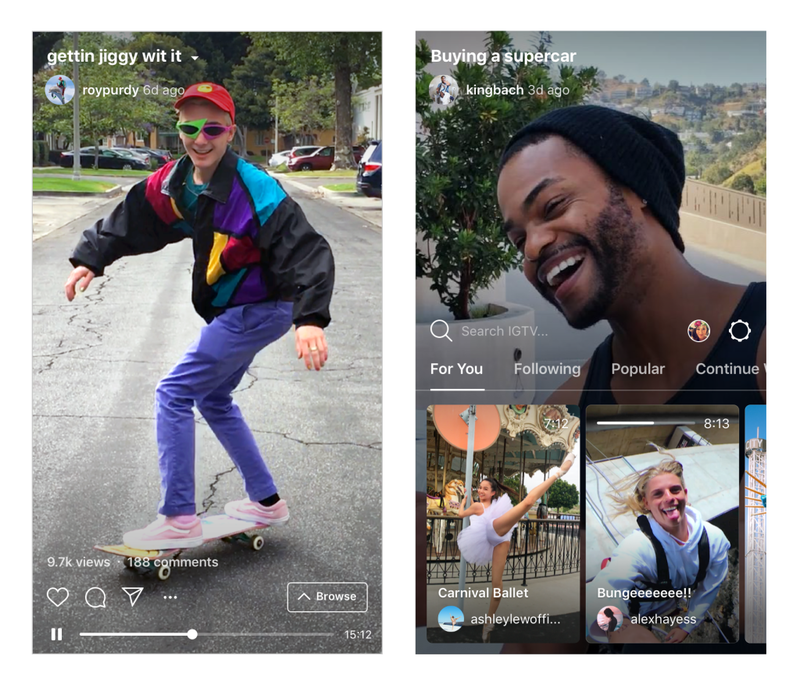 The new IGTV is a standalone app for Android and iOS Users, however, you will also be able to watch long-form videos within the Instagram app as well. IGTV is different in a few ways and it’s built for how you use your phone. So, videos on IGTV are full screen and vertical, unlike the typical Instagram videos which are horizontal. Also, the new IGTV offers each video to be an hour long unlike the less than 1-minute videos on Instagram. You can also like, comment and send videos directly to your friends. IGTV also has channels and the creators are the channels. So, when you follow a creator on Instagram, their IGTV channel will show up for you. Also, anyone can upload their own long-form videos and become an IGTV creator. Instagram might be aiming to take on YouTube with this IGTV app. The company has also announced that it has now one billion users. “Today, we have two big announcements to share. First, Instagram is now a global community of one billion! Since our launch in 2010, we’ve watched with amazement as the community has flourished and grown. This is a major accomplishment — so from all of us at Instagram, thank you,” said Kevin Systrom, Co-Founder & CEO Instagram. IGTV is currently rolling out to all Android and iOS users.